The new normal in the real estate business: Homeowners are moving less, creating a drag on the economy, fewer commissions for real estate brokers, and a brutally competitive market for first-time home shoppers. NEW YORK — For much of last year, Greg Rubin was looking to buy a bigger house. He has been in the same two-bedroom home for 17 years and hoped to upgrade to a place with a guest room, a home office, and a workshop for his guitars, radio-controlled planes, and gardening equipment. This year, Rubin has a new plan. He stopped looking and embarked on an ambitious renovation project that will begin with a new kitchen and end with a workshop for all the man toys. “My girlfriend would like to get a larger house, but right now, I’m staying put,” said Rubin, who lives in Escondido, Calif., and owns a landscaping firm called California’s Own Native Landscape Design. Rubin is the face of what appears to be a new normal in the real estate business: Homeowners are moving less, creating a drag on the economy, fewer commissions for real estate brokers, and a brutally competitive market for first-time home shoppers who cannot find much for sale and are likely to be disappointed by real estate’s spring selling season. For many homeowners, the desire to stay put began out of caution or necessity. Rubin’s business lost more than half its revenue in the years after the Great Recession, so until recently, he had no money or desire to upgrade. Millions of other homeowners lost their jobs or were stuck in homes worth less than they owed the bank — two big reasons that the median homeowner tenure rose to about 8½ years last year, up from about 3½ in 2008, according to data from Moody’s Analytics and First American Financial Corp. That is the longest tenure since their data began in 2000. But even though the economy and the housing market have improved — unemployment is below 5 percent, and steadily rising home prices have freed millions of people from the scourge of “underwater” mortgages — economists expect elevated homeowner tenure to continue for the next decade or even longer. That is because the better economy has come with a steady rise in interest rates. Like tens of millions of others, Rubin refinanced when mortgage rates were near a historic low. He has a 3.25 percent interest rate on his home loan, so even if he could find a similar home for the same price, his payment would go up considerably. For a 30-year fixed-rate $500,000 mortgage, an interest-rate rise to 5.5 percent would increase the monthly payment roughly $700 to $3,600, including estimated taxes and fees, according to Zillow, the real estate data service. Rates for 30-year fixed mortgages were at 4.05 percent last week, after being under 3.5 percent as recently as October, according to Freddie Mac, the mortgage finance giant. And with the Federal Reserve signaling further interest rate increases, economists expect mortgage rates to head toward 5 percent by the end of the year. The higher that rates climb, the more tempting it becomes for people to stay in place. 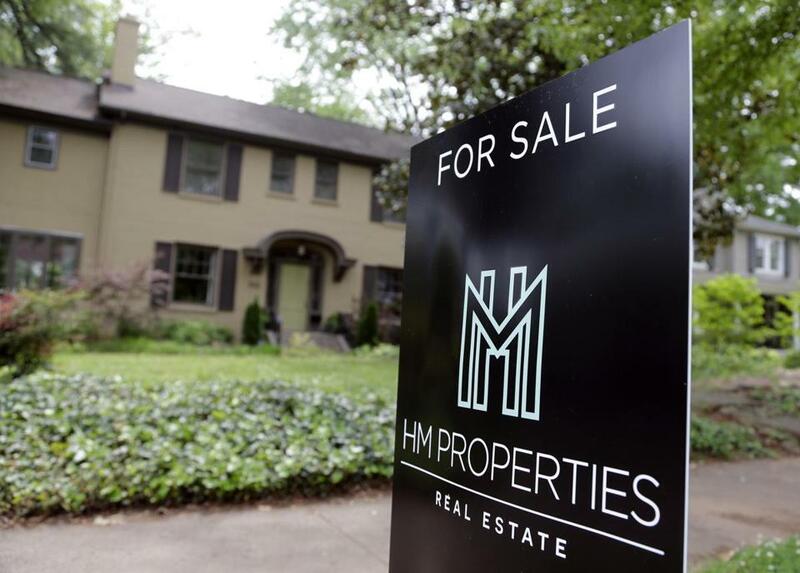 “Once mortgage rates climb to 5 or 5.5 percent, we are going to start to see the lock-in effect really take hold,” said Svenja Gudell, chief economist at Zillow. Single-family home starts, which were at a 821,000 annual rate in March, are about half what they were before the recession. Existing-home sales are about one-fourth below their prerecession high. This is despite years of population growth and the movement of millennials into adulthood and the workforce. Interest rate “lock-in” is expected to be most pronounced in desirable cities with a high rate of job growth as well as higher-income neighborhoods, according to a 2014 study by the Institute for Housing Studies at DePaul University. Still, the effect will be felt throughout the economy. Whether in broker commissions, furniture or junk hauling, moving costs a lot of money, so longer home tenures will weigh on consumer spending. It could also hurt the economy in more subtle ways, by making people less mobile. For example, some people might find a better job in another city but decide not to take it because the pay would not make up for the increase in mortgage costs.